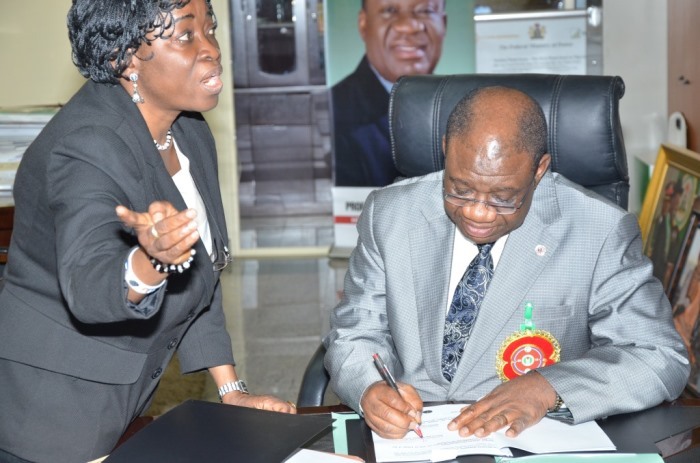 ABUJA, December 16, 2014: The Minister of Power, Chinedu Nebo (Professor) has signed a Memorandum of Understanding (MoU) with Alpha Energy and Electric, Inc., Kansas City, Missouri, USA on December 16, 2014 for development of Rural Off-Grid Solar Electrification, Off-Grid (Embedded) and Grid-Connected Electricity in Nigeria. 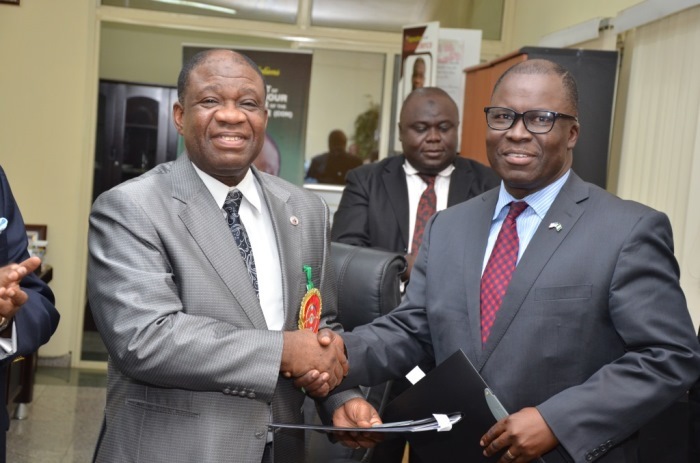 Alpha Energy and Electric, Inc., will collaborate with and support the Federal Government of Nigeria in the development of multiple small, medium and large solar, Gas-Fired turbines, hydro and waste-to-power generation plants in various states of the Federation. The development of 1MW and up to 1000MW in selected states in Nigeria. Alpha Energy and Electric, Inc., participated in the recent Commerce Secretary's Trade Mission to West Africa. U.S. Secretary of Commerce Penny Pritzker chose Alpha Energy and Electric, Inc., as one of the 20 US companies that accompanied her on the West Africa Trade Mission in May 2014. 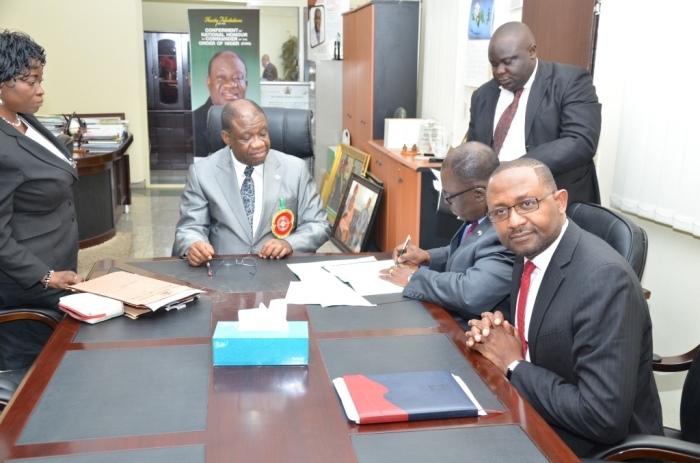 Ike Nwabuonwu, Chairman & CEO of Alpha Energy and Electric, Inc., Kansas City, Missouri, USA signing the MoU on December 16, 2014 for development of Rural Off-Grid Solar Electrification, Off-Grid (Embedded) and Grid-Connected Electricity in Nigeria. Also in attendance at the signing ceremony were Gabriel Okafor, President of Alpha Energy and Electric, Inc.. and Mrs. A. A. Shoetan, Director (Legal Services), Ministry of Power. 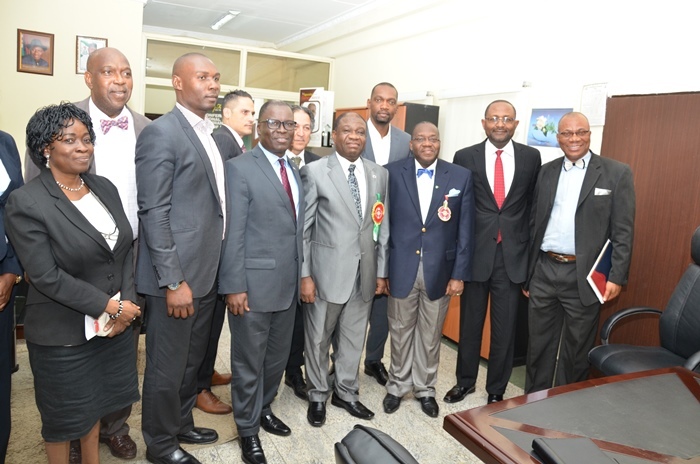 Group photo at the MOU signing ceremony: In attendance were Nigeria's Minister of Power, Honorable Chinedu Nebo (Professor), Federal Ministry of Power, Ambassador Dr. Godknows Igali, Permanent Secretary, Federal Ministry of Power, Mrs. A. A. Shoetan, Director (Legal Services), Federal Ministry of Power, Dr. Albert Okorogu, Special Advisor on Renewable Energy/Access to Power in Nigeria - to the Honorable Minister of Power, Ike Nwabuonwu, Chairman & CEO of Alpha Energy and Electric, Inc. and Gabriel Okafor, President of Alpha Energy and Electric, Inc.